Remanents of the Post Office- Totope Ghana, 2009. Over 1000 out of the 3500 inhabitants of Totope have been displaced by the tides with over 40 homes destroyed. Plans have been made by the government to relocate the village and to provide emergency tents for the diplaced but no action has been take yet. 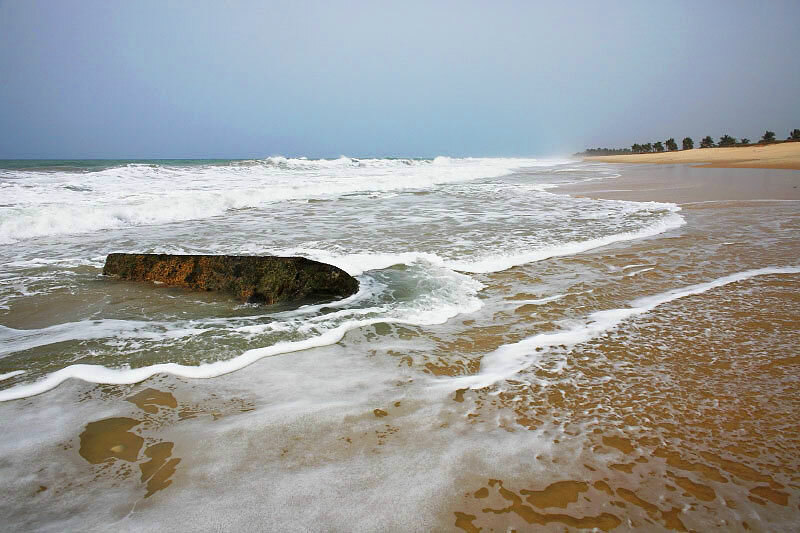 Rising tides alter Ghana's coastline every year causing officials to make plans for a sea defense wall to protect villages like Totope from further destruction. But, becuase of a lack of funding, the project has come to a standstill and more homes are lost due to rising ocean levels.